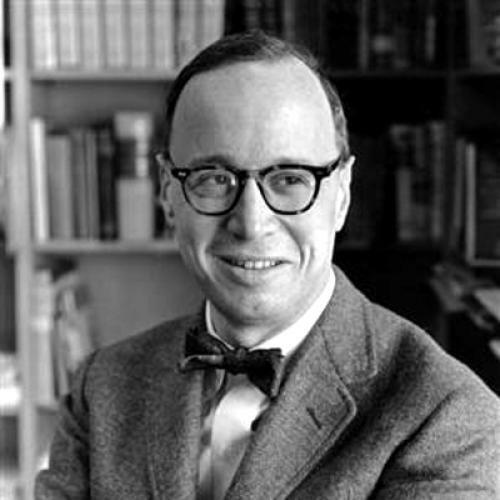 By Arthur M. Schlesinger Jr.
At a time when such a heavy proportion of second-rate or downright shoddy historical writing is being widely praised and widely read, it is a pleasure to report on a book like this and find oneself part of a general chorus of approval. Mr. Schlesinger’s book is a major contribution to American historiography. His broad survey of the Jacksonian era seems certain to supersede other books on the period and take a high place among works of interpretative synthesis. A product of detailed and intensive scholarship, it is, better still, a work of mature insight marked by a fine feeling for the dialectics of ideas and events. One turns with relief from more partisan myth-making histories in the manner of Claude Bowers to a study so much concerned with the larger problems of historical causation and powered to such an unusual degree by a capacity for analytical thinking. Mr. Schlesinger begins by seeking out the roots of Jacksonian democracy in the Jeffersonian period and traces the Jacksonian heritage down to die Civil War era. From the time John Adams left office in 1801 to Lincoln’s inauguration in 1861, only two Presidents were elected who were not in the Jefferson-Jackson-Democratic lineage. Mr. Schlesinger has therefore chosen to accentuate the significant cleavages within the dominant party rather than the struggle with the Whig opposition. Although he is no Marxist, what he finds is a series of class coalitions and class conflicts. “It seems clear,” he writes, “that more can be understood about Jacksonian democracy if it is regarded as a problem not of sections but of classes.” One of the motifs of The Age of Jackson is a running refutation of the thesis that Jacksonian democracy was predominantly a frontier phenomenon. The great issue of national politics during the years of Andrew Jackson’s presidency was banking and currency. The author shows that although Eastern and Western elements were united in opposition to Nicholas Biddle’s Bank of the United States, they approached the fight from opposite angles because they represented sharply divergent interests. The Westerners, in the time-honored fashion of agrarian reformers, wanted currency expansion, and fought the bank in an inflationary mood. Eastern Jacksonians, who drew a critical part of their following from laborers and the middle class, opposed the bank for deflationary reasons. In the East, where resentment of banks, large corporations, worthless notes and high prices was general, the movement meant a return to “hard money.” Easterners hoped that the currency could be divorced from the banks and returned to the government, and that the banks could be limited to the commercial functions of discount and deposit. It was the hard-money policy that prevailed. was to control the power of the capitalistic groups, mainly Eastern, for the benefit of the non-capitalist groups, farmers and laboring men. East, West and South. The basic Jacksonian ideas came naturally enough from the East, which best understood the nature of business power and reacted most sharply against it. The legend that Jacksonian democracy was the explosion of the frontier, lifting into the government some violent men filled with rustic prejudices against big business, does not explain the facts, which were somewhat more complex. Jacksonian democracy was rather a second phase of that enduring struggle between the business community and the rest of society which is the guarantee of freedom in a liberal capitalist state. The Age of Jackson also deals sensitively with the political problems of the planters. Southerners had to decide whether the radical wing of the Democratic Party or the capitalists who substantially controlled the Whig Party represented the greater menace to the plantation system. The richest and most conservative planters saw the situation in terms of an affinity of property interests and went with the Whigs, in spite of the protective tariff and nationalist constitutional theory. Middle-class planters, and the majority of Southerners generally, preferred the Democratic Party and reform. John C. Calhoun, the outstanding Southern leader of the period, foresaw that equalitarian tendencies in the Northern democracy would also be a menace to the South, realized that the South must play an independent hand and argued that, since the South was a minority interest, it must work out an open defense of minority power and, if possible, embody it in the Constitution. Jeffersonian democracy, Mr. Schlesinger shows, was based upon an anti-government obsession, a doctrinaire adhesion to laissez-faire. He credits Jacksonian democracy for having done something to break down this prejudice, although he is well aware that it lingered on as one of the important Jacksonian illusions. Jacksonian democracy, he concludes, failed to “codify” its deviations from the antistatist tradition and in so doing left American liberalism impotent in the post-Civil War period, when a positive method of renewing the struggle against business power was badly needed.